Jonathan Paplebon had a great first season with the Phillies. He had 38 Saves, 2.44 ERA, WHIP of 1.05, and 11.8 SO/9. The Veteran Closer of 271 Saves has nailed down 14 more in 2013 – while featuring a 1.95 ERA in 27.2 IP. Papelbon is in the 2nd YR of a 4 YR/$50 MIL contract – with an attainable Vesting Option for 2016. 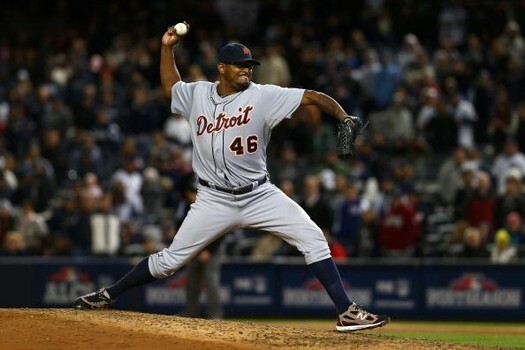 The Tigers should bring him in considering his playoff pedigree (7 Saves and 1.00 ERA – including being part of the 2007 World Series Champion Red Sox.) With player locked up for a few more years apiece like Cabrera, Hunter, Martinez, Verlander,Scherzer, Sanchez, his salary years in term would fall right in line with their championship window. 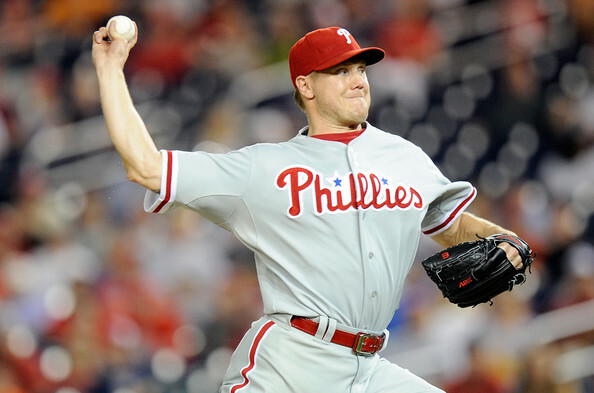 Rumors have really taken off the past few weeks, especially centered on Phillies closer Jonathan Papelbon. The Phillies have been rumored to want to move him to clear up some cap space. He is under contract until 2015 with a vesting option for 2016, all at $13 million a year. The Tigers are among three teams to be looking into Papelbon – the Red Sox and Cardinals the others. His contract is heavy but Papelbon is one of the most dominant closers in the league and he could even need a change of scenery. Nothing too major to read into but it does seem to signal that he may be unhappy in the City of Brotherly Love. It was only a season ago he was questioning the lack of leadership within the Phillies organization. He isn’t the only choice at closer though as other names have been circulating, even including a few A.L. Central teams. With the Indians being so close behind the Tigers in the standings, a trade like this is pretty unlikely unless they completely unravel by the trade deadline. The Twins Glen Perkins is a name floating around but Twins GM recently said he’d rather see Perkins pitch for them instead of against them. Other names heard throughout rumor mill – Steve Cishek (MIA), Rafael Betancourt (COL), Huston Street (SD), Tom Wilhelmsen (SEA), and Bobby Parnell (NYM). Other options are naming 8th inning man Joaquin Benoit the closer or even Drew Smyly. Either option is not exactly a long-term fix. Benoit has problems giving up home runs every now and then but is having a very impressive year thus far. Smyly seems to be the fan favorite in closing games but does have problems against right handed hitters. The closer by committee seems to be the way to go in recent games – Benoit and Smyly have each earned a save in the past week. But the Tigers need a certified closer that they can trust to close out those tight games at the end of the season and more importantly in the postseason. Would you want Benoit closing out a 1-run game in the 9th in a game 7? How about Smyly, the 24-year-old, doing the same? The Tigers and the fans need someone who won’t make them bite their nails off when they enter the game. Either way you look at it, they will be buyers at the trade deadline and Jose Valverde may just see his time running out in Detroit (again). The final piece of the puzzle is out there somewhere but he’s not a Detroit Tiger just yet. Papa Grande had led the AL in Games Finished during each of the last 2 seasons (70 in 2011 and 67 Last Year.} he also led the AL in Saves in 2011 with 49. It was a Sept/Oct swoon of a 5.02 ERA that started his troubles – before giving up 6 Earned Runs in 1 combined Inning Pitched between the ALCS and the World Series. He remained unsigned by everyone until the Tigers gave him an incentive laden 1 Year Deal a few months ago ( if he made the big league roster.) While staring off decent when he first returned – ‘Valverde has derailed in the last 28 Days – sporting an ERA of 11.88 – most damage of which came in his abysmal back to back appearances versus the Orioles. The 36 Year Old yielded 8 Earned Runs, plus 3 HRs in just 1.2 IP. His Closing days may be numbered. A big thank-you goes out to Our ‘Tigers Correspondent’ Matthew LaFave for preparing today’s featured article. Matthew was born and raised outside of Detroit, Michigan. Growing up watching all of the Detroit sports with his father, he began to enjoy writing about them in high school. At first started out as e-mails between his father turned into a Detroit Lions blog website titled ‘Hear Me Roar’. 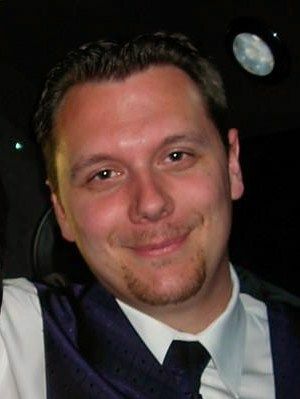 Matthew would go on to get a job as ‘Detroit Tigers Writer’ at the website http://www.examiner.com. Posted on June 21, 2013, in The Rest: Everything Baseball and tagged 2012 ALCS, 2012 ALDS, 2012 world series, @matthewlafave on twitter, Bobby Parnell, bruce rondon, dave dombrowski, Detroit Tigers pitching staff, Drew Smyly, huston street, Jim Leyland, jonathan papelbon, matthew lafave, octavio dotel, phil coke, philadelphia phillies, rafael betancourt, steve cishek, toledo mudhens, tom wilhelmsen, www.detroitexaminer.com. Bookmark the permalink. Leave a comment.